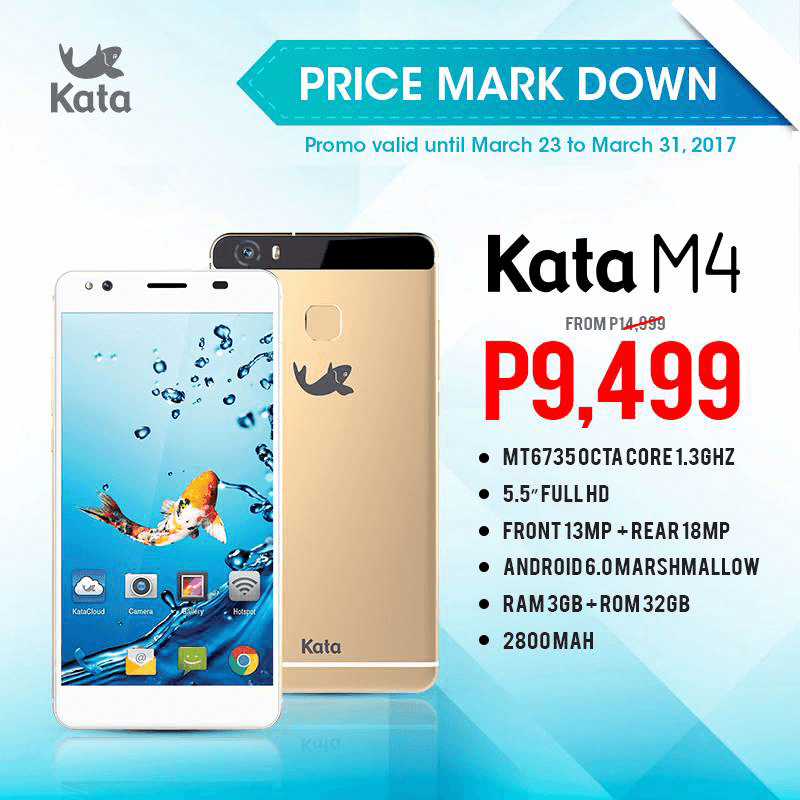 Home / kata / mobile / news / Sale Alert: Kata M4 Is Down To PHP 9499! In a recent Facebook post, Kata Philippines has announced the price cut of the M4. It's the company's current flagship which offers great build and style. As a quick recap, the Kata M4 boast a 5.5 inch FHD IPS screen w/ 1.3 GHz MT6753 octa core chip inside. It goes with ample 3 GB of RAM, 32 GB of expandable storage, and 2,800 mAh of battery capacity. This device highlights an 18 MP f/2.2 lens at the back and a 13 MP f/2.4 camera in front. Then there's a fingerprint scanner at the back as well. Completing the specs, this handset is loaded with WiFi, 3G, LTE, Bluetooth 4.0, FM Radio, and dual SIM card slots. It loads with Android 6.0 Marshmallow OS. 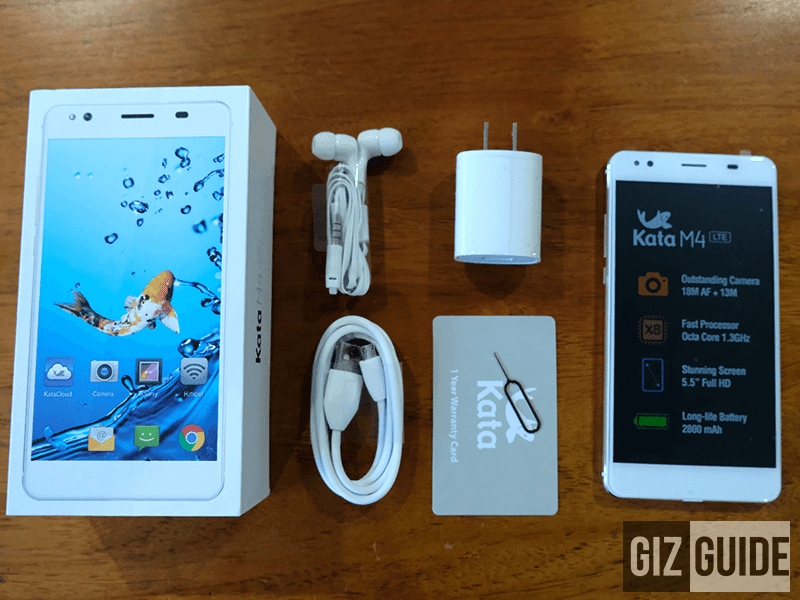 From the original high-price of PHP 13,999, the Kata M4 is now more reasonable at PHP 9,499. Promo runs March 23 to 31, 2017.